Comfort management is always at your fingertips with remote access via smart phone, tablet or computer. 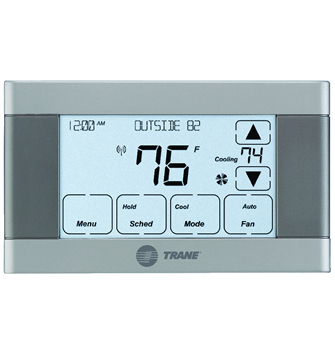 4.3” interactive color touchscreen the XL850 provides a smaller screen option for comfort management. 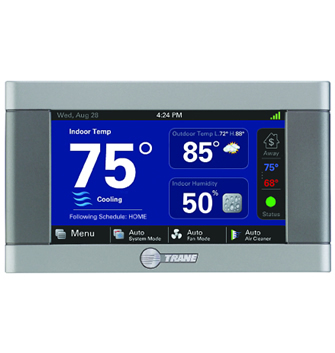 4.3” interactive color touchscreen the XL824 provides an economical option for accurate heating and cooling. 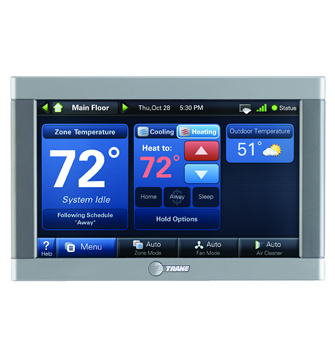 4.3” interactive touchscreen the XL624 provides an economical option for accurate heating and cooling system. 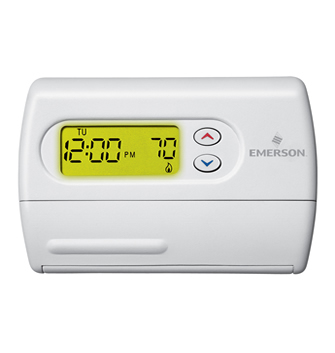 Zoning allows your heating and cooling system to condition each area or zone independently with its own thermostat. Affordable, accurate and reliable digital temperature control featuring a large LCD backlit screen and push button control.